"Om Mani Padme Hum" is one of the most recited mantra among all faith traditions combined. No matter where you see a buddhist monk or practitioner, whether in the remote deserts of mongolia or the zen monastery of california, every where in the world this mantra is found to be repeated. In Tibet there are adept monks to be found who chant it during all their waking hours as long as they live. The vibrational effect it produce when in a large hall of a buddhist monastery all the monk chant this mantra together is both tremendous and beautiful. In Tibetan Buddhism this mantra evokes the Chenrezig, the embodiment of compassion and mercy which is also known by other names such as Avalokitesvara, Guan Yin (Kuan Yin), Padmapa-ni, and Lokes'vara. Interestingly enough Avalokiteshvara’s name means "The Lord Who Looks Down (in compassion)." Avalokitesvara is also popularly known as Padmapani, or "Holder of the Lotus." Because of the mantra's connection with the embodiment of compassion and the quality of compassion, Tibetan Buddhists believe that saying the mantra (prayer), Om Mani Padme Hum, out loud or silently, invokes the powerful benevolent attention and blessings of Chenrezig, the embodiment of compassion. The book Foundations of Tibetan Mysticism by Lama Anagarika Govinda, is a classic example of how a mantra like om mani padme hum can contain many levels of symbolic meaning. Donald Lopez gives a good discussion of this mantra and its various interpretations in his book Prisoners of Shangri-LA: Tibetan Buddhism and the West. Lopez is an authoritative writer and challenges the stereotypical analysis of the mantra as meaning "The Jewel in the Lotus", an interpretation that is not supported by either a linguistic analysis, nor by Tibetan tradition, and is symptomatic of the Western Orientalist approach to the 'exotic' East. 4. Behold! The jewel in the lotus! "Mani" means jewel, diamond or precious and "Padme" means lotus flower - a popular symbol in eastern tradition. Om is salutation (as well as the primordal vibration / sound), Hum externally means 'to be in'. The literal translation of "Om mani padme hum" based on the individual syllable is 'Behold the Jewel in the Lotus' / 'Praise the Jewel in the Lotus'. In apparent symbology 'mani' or the Jewel refers to the mind or consciousness and 'padme' or the lotus refers to the Heart that is the source of Love energy. In this sense it is also a mantra of union and harmony of mind consciousness and inner heart - a hallmark of perfect human being or buddha (awakened one). Thus Om Mani Padme Hum can also be interpreted as, "Salutations to the Jewel of consciousness which has reached the Seat of the Heart." Interestingly inner meaning of Hum referers to "indivisible" or an unified whole. Esoterically Om Mani Padme Hum can thus be translated as, "hail to the one who is in union." Lotus flower is found again and again in Gautama Buddha's teachings and buddhist teachings in general that were developed in later. If we go back to the basic symbology of lotus flower, in the east it is viewed as a symbol of spiritual unfoldment. In Buddhist sutra the golden lotus is the symbol for achieving enlightenment. Christian equivalent of lotus flower is the white lily which holds the symbol of purity and traditionally the Archangel Gabriel carries the lily of annunciation to the pure mother Mary. From ancient time in India, lotus flower symbolized among other things, knowledge and enlightenment. 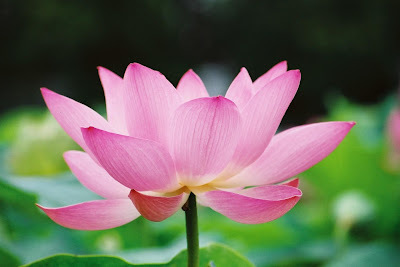 How lotus flower becomes a lotus flower is very significant. The lotus has its roots in earthly mud, in clay but it grows upward in aspiration towards the light. In the book titled, A Lotus Grows In The Mud by Goldie Hawn with Wendy Holden, its said, "The lotus is the most beautiful flower, whose petals open one by one. But it will only grow in the mud. In order to grow and gain wisdom, first you must have the mud the obstacles of life and its suffering. .. The mud speaks of the common ground that humans share, no matter what our stations in life. ... Whether we have it all or we have nothing, we are all faced with the same obstacles: sadness, loss, illness, dying and death. If we are to strive as human beings to gain more wisdom, more kindness and more compassion, we must have the intention to grow as a lotus and open each petal one by one." We certainly created man in difficulties (suffering, challenges). In Chinese wisdom lotus flower is used to inspire people to continue striving through difficulties and to show their best part to the outside world, no matter how bad the circumstances may be. This is understood as being just like the lotus flower, bringing beauty and light even though originating from the murky darkness at the bottom of the pond. Thus lotus flower with its origin and growth represent the human condition and his inherent potential to rise above and unfold even greater possibilities of enlightenment. The birth of lotus flower from mud is like the creation metaphor of human being who is likened to be created from mineral / mud / clay. This human being, the marvelous creation, the pinnacle of creation, the highest form of evolution for whom is created the whole of cosmos and beyond - has an indescribable mystery inside, which is its Essence (its precisely because this Essence is indescribable, the mystics always have used parables and imagery to talk about it and Buddha himself was an ascetic mystic in his nature who resorted to nothing but silence in the question of The Highest Truth, the universal language of the mystics). The mantra 'om mani padme hum' praise that Essence which is inside the lotus. In the parable of padme or lotus, there is another symbol introduced which is 'mani' or jewel. Jewel is not the diamond (the common literal meaning of 'mani') which is precious because it can be sold for much money. Buddha himself born as a prince was not interested in wealth and walked out of the palace renouncing wealth, so does his teachings maintain all through. The precious jewel which is inside the lotus is the secret within. the secret is indeed the most precious truth, thus only it is precious from the point of view of the buddha mind, the mind which is illuminated by the truth. Thus from a sufistic point of view, the highest mantra of buddhism refers and praise the original Light within each of us, Buddhist call it the Buddha Nature (the Awakened Nature), non-dualistic state, the sufis call it the Sirr (The Secret Within) and the Nur (Light). 7. 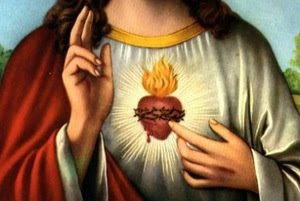 I am in Thee and Thou art in me. According to the theosophist and mystic H.P.Blavatsky: Om Mani Padma Hum esoterically means "Oh my God within me." Yes; there is God in each human being, for man was, and will re-become, God. The mantra points to the indissoluble union between Man and the Universe. For the Lotus is the universal symbol of Kosmos (man is the microcosm), and the Jewel is Spiritual Stamp of God within. On this highly esoteric point its worth quoting sufi master Ibn Ataillah who said in Al-Hikam: "God was, and there was nothing with Him, and He is now as He was." And finally as described in the divine transmission (hadith qudsi): "The heavens and the earth cannot contain Me; only the heart of My humble and faithful devotee contain Me within." Behold the Jewel in the Lotus. Praise be to the Secret within!
. 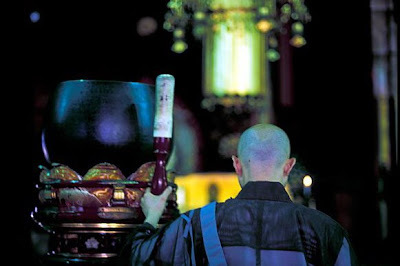 Is there God in Buddhism?